To further strengthen my teaching abilities, and to help me in my own continuing professional development to become the best Driving Instructor that I can, I have also undertaken and passed with distinction a Diploma in Fleet Driver Training in 2004. Currently less than 10% of driving instructors in Britain have gained this advanced qualification. 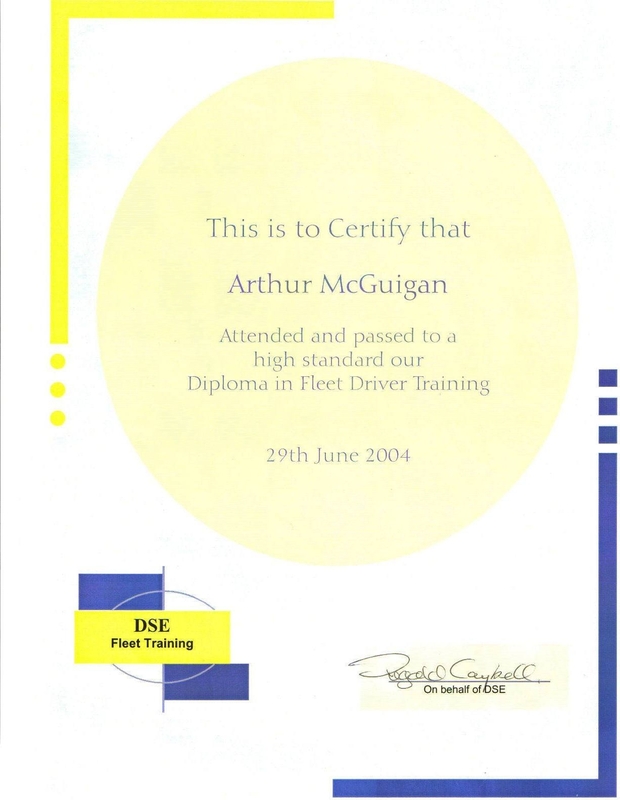 This Fleet Diploma allows me to offer advanced driver training to company car and van drivers and to generate a risk profile based on their individual driving style. Training courses are typically run on a 1:1 basis and are either a half or a full day in duration, the training day is spent in reducing any areas of high risk that have been identified within the clients driving style. When the training is complete a validation drive is undertaken by the client and a report is then drafted and sent to the driver's employer which fulfills their duty of care to that employee under the health and safety at work act. I found this advanced training course both challenging and extremely beneficial, and I have since gained substantial experience in this field of instruction with Universal Driver Training, www.udt-training.co.uk, one of the country's leading suppliers of Advanced Driving and Corporate Fleet Training courses.